The cosmic background radiation that is believed to be cornerstone of the Big Bang theory and a fundamental basis for the cosmological theory has become a central piece of astronomy. 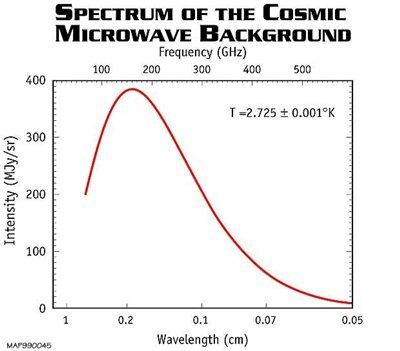 While initially discovered as a radio anomaly and explained in terms of radiation, this cosmic phenomenon can be best viewed in the microwave spectrum. The distinct appearance of this background radiation can be clearly observed in the microwave spectrum. The exploration of this phenomenon using microwave is relatively recent development. The integration of microwave into the equation allowed scientists to figuratively look back in time to see how the universe was formed. It must be remembered that light can be viewed as a particle and in the big bang theory initially everything was compressed charged particles and due to the density of these particles light cannot travel far nor quickly leading scientists to the conclusion that the universe was opaque. When the Big Bang happened the charged particle grew farther and farther apart and even fused together to form atoms, this allowed light to move faster and easier. This is where the microwave theory comes in; scientists theorized that the light from the Big Bang has steadily travelled from the point of origin or the center of the universe. The uniform radiation we see is theorized to be in fact particles from the Big Bang which we can observe as the travel outward from the point of creation.